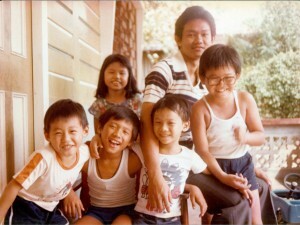 Free and open air movie screenings on the big grass patch at Seletar Camp was one of the fondest memories of Mdm Saraswathi. 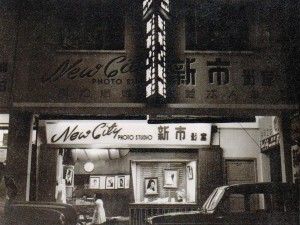 A bright smile lit up on her face as she was looking through the black and white photographs, which she had shared with us during a visit to her current home in Toa Payoh. 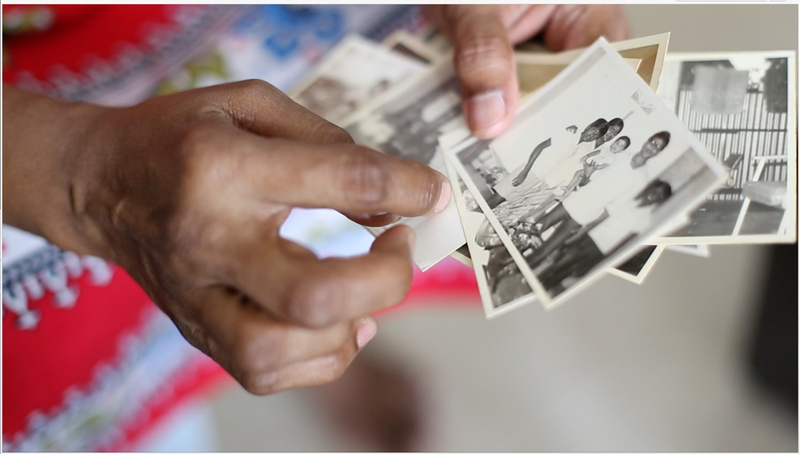 These photographs gave us an insightful glimpse of her life inside the camp. 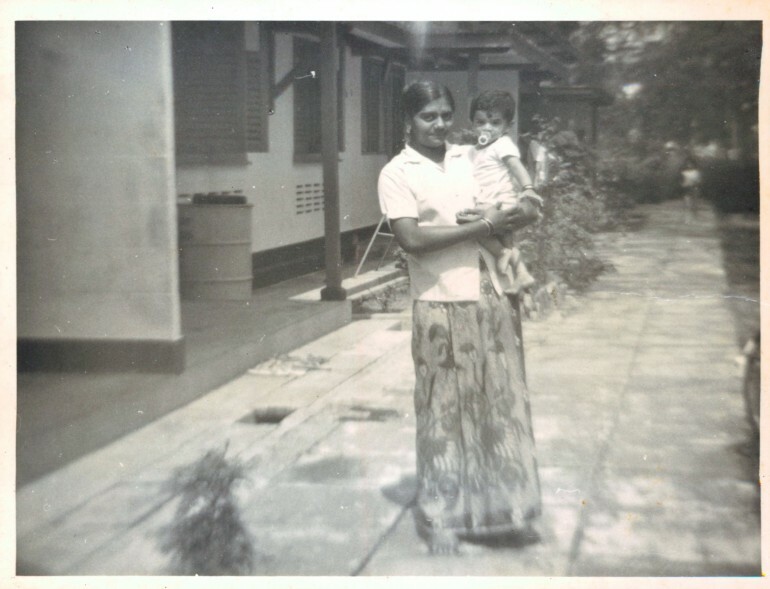 As a clerk to the Singapore Armed Forces, Mdm Saraswathi had lived in residential quarters at the military facility together with her family. She shared with us her family’s long history there, since the camp’s former days of being the largest British Royal Air Force base in the Far East. Built by the British in the 1920s, the camp became operational in 1928 and had housed staffs to the British Airforce. 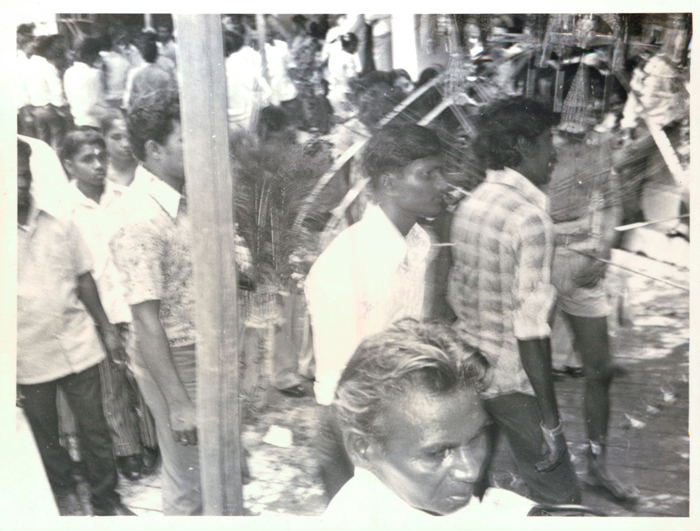 Aside from the British, the Malay and Indian community had made up majority of the staff. 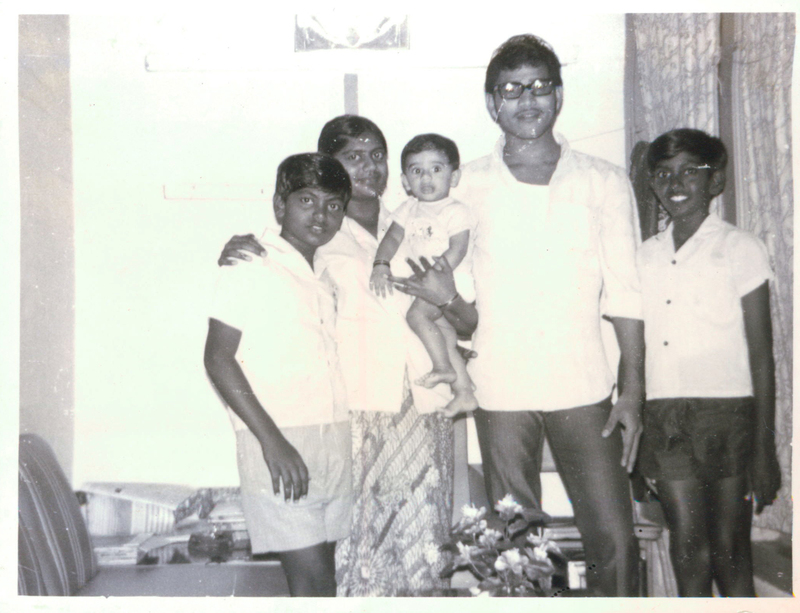 Her father, who was an Indian migrant, had worked for the British as a labourer, and her uncle as a supervisor. The living quarters were located at the east side of the camp. Mdm Saraswathi described two different layouts of the quarters. 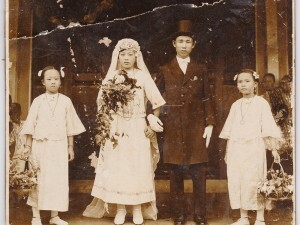 Her husband was also a staff who lived in the bigger quarters, while she had grown up in the smaller one with her family – A three-room apartment consisting one hall, bedroom and kitchen. There were six apartments in a block, with toilets and water taps shared between all the families living there. She remembered how she needed to take her laundry and plates out to the public tap for cleaning. On the other hand, her husband’s house, where she had moved to after their wedding, had a private toilet, but the rent was higher. “The rent for the three-room quarters (back then) was only $12 per month. For the bigger one, it was $20,” said Mdm Saraswathi. In a photo taken right in front of the guardroom of the residential quarters, Mdm Saraswathi recounts how tightly guarded the facility was. Any of her relatives visiting the camp were required to report to the guard house, where she would have to produce her official pass in order to allow them onto premise. Public access into the camp was highly restricted, and any outsiders entering or leaving the camp were duly noted by the guards. During Christmas, the British would hold celebrations for the military staff. Families would go to the clubhouse carrying coupons previously handed out to them, to collect goodie boxes filled with cakes and ice-creams for every member of each household. The clubhouse was also a place where families held meetings, as well as movie screenings hosted for the families. “We would bring out big mats to lay on the grass and watch the movies for free from the big screen,” she quipped. 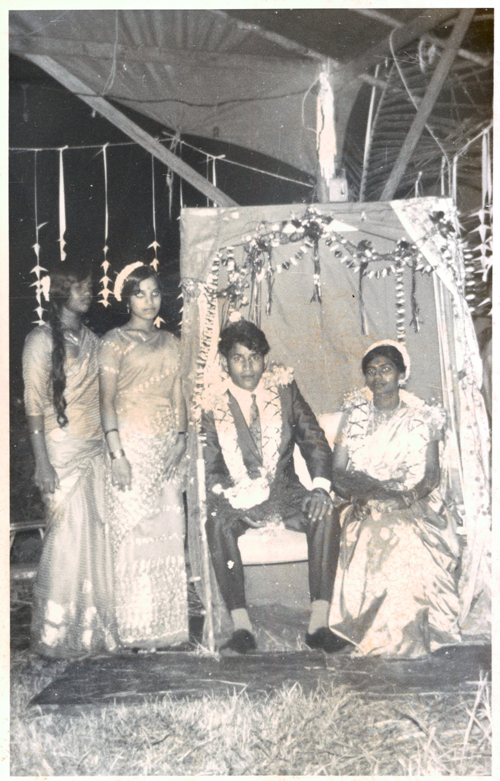 Amongst the photographs that Mdm Saraswathi had showed us, there were some of her wedding ceremony. Contrary to the rich and colourful festivities that typically surround an Indian wedding, Mdm Saraswathi’s wedding was very modest. Instead of a temple with a priest, her wedding was celebrated in a tent at the Seletar Camp, specially erected for this joyous occasion near her husband’s living quarters. Another eventful recollection she had at the camp was the preparation for her brother to carry the kavadi for Thaipusam, a Hindu celebration in honour of Lord Subramaniam. 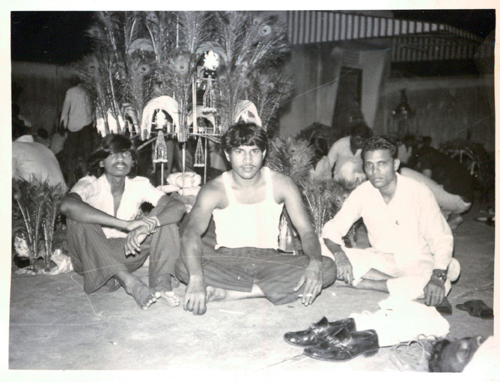 In the photo was her husband, uncle and brother on the eves of Thaipusam in their home, getting ready for the journey the next morning. When asked whether carrying the kavadi would be painful, she chuckled as she replied, “Actually, it would be, if you hadn’t followed the preparations properly. (The devotees carrying the kavadi) would fast for one week. You can take food only once a day in the evenings after your prayers.” The fasting devotees would be allowed to drink. But milk, she told us, is restricted because it is meant to be an offering to the God. 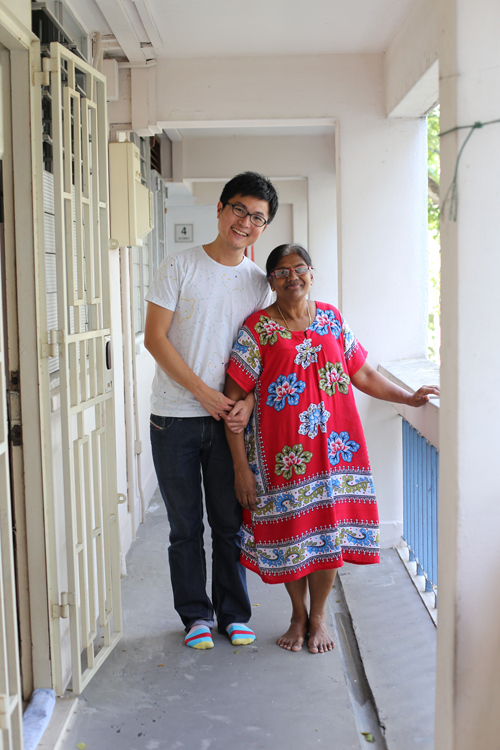 After our pleasant afternoon with Mdm Saraswathi, listening to her time-transporting stories of Seletar Camp, we thanked her for her time and exited her flat to the scenery of Toa Payoh today. The home in the black and white photographs of hers is so different from her current home. 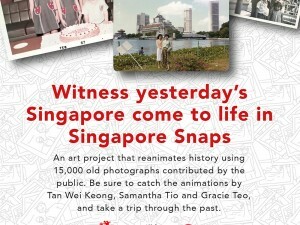 The times that we see in a single lifetime in Singapore has definitely changed, and we continue to wonder how the lives of people living here has changed too.